North Grenville has never been short of colourful characters throughout its history, but Silas Huntington must rank as one of the most colourful of them all, which is not something that is often said about a Methodist missionary. Silas had a remarkable background, a full and active career, and a lasting legacy in Huntington University, now a federated university of Laurentian University in Sudbury. Silas was born in Kemptville on February 19, 1829, son of Dr. Silas and Mary Huntington, and the youngest of their eight children. Dr. Silas was a well-liked physician, originally from Connecticut, and Mary was a descendant of two American Presidents, John Adams and his son, John Quincey Adams. The records state that she was a resident of Kemptville when she met Dr. Silas and they married in 1809; however, that was a decade before the Clothiers arrived in the area and began the settlement that would become Kemptville, and it seems they actually lived south of the village on lot 28, concession 4 of Oxford-on-Rideau Township. The Huntington side of the family also had impressive roots in the United States. One family biography records that: “Samuel Huntington, who lived from 1734-1794, was one of the signers of the Declaration of Independence. In 1779, he was made President of the Continental Congress, which position he held for two years. In 1786, he was elected Governor of Connecticut and was re-elected regularly until his death. His portrait hangs in Independence Hall, Philadelphia”. Our Silas, if I can call him that, converted to Methodism as an adolescent during a camp meeting, and this set his course for the rest of his long life. In 1850, he began training for the ministry and followed that path until his death in August, 1905 of typhoid fever. 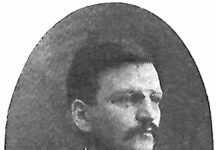 Until 1880, he served in a large number of parishes throughout eastern Ontario, including Smith’s Falls, Belleville and Vankleek Hill, as well as on the Quebec side of the Ottawa, at Aylmer. He seems to have retired temporarily in 1880, but in 1882 he began the work for which he was to become famous. 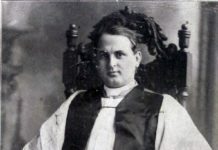 The Methodists decided to appoint a missionary to follow the building of the Canadian Pacific Railway as it pushed up the Ottawa Valley and on to the Great Lakes. Silas Huntington was given the charge of the region around Mattawa at first, but continued up the tracks to what was to become North Bay, Sudbury, and on to the north shore of Lake Huron. He had, at some point which remains a mystery, become fluent, not only in French, but in two dialects of Anishinabek, and his ministry included indigenous communities as well as the railway camps. He impressed all those he met with, native and hard-living labourers alike. Standing over six foot in height, and well-built, he had prodigious strength, and one of his exploits was documented in Cobalt. He wrote his name on either the ceiling of a house, or high on a wall, while the little finger of his writing hand was tied to a 56-pound weight. This was a man who was almost 60 at the time. 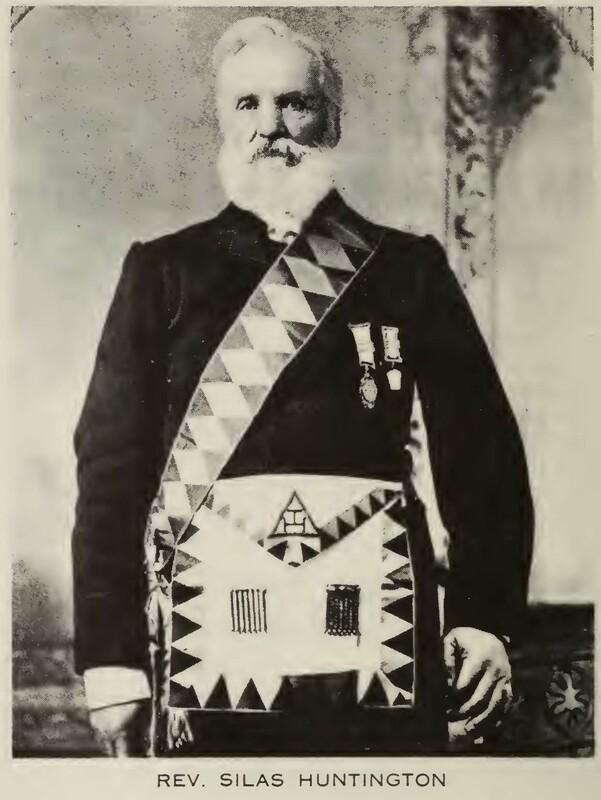 After building up the congregation in North Bay, Silas moved to Sudbury and, in 1887, was given charge of the entire district between Mattawa and past Schreiber, along the north shore of Lake Huron. He was known to be an expert traveller in the wild, travelling by canoe and snow-shoes throughout the vast reaches, even before the railway, much less any roads, had cut through the land. Many of his meetings were held in railway cars, and more stories are told about his adventures there. On one occasion, some men decided to play a joke on Silas and his congregation by releasing the brakes on the rail car they were in while Silas was preaching. It gradually gathered speed as it rolled downhill before coming to a halt on the flat land further on. Silas never stopped preaching and, when the meeting was over, he and his congregation calmly walked back uphill to their camp. His entry in the Dictionary of Canadian Biography notes that: “His own sermon notes constantly emphasize the dignity of human labour and reflect a concern for the poor and the exploitation of the working man. At the opening in 1899 of a Methodist church at Copper Cliff (now part of Sudbury), he criticized officials of the Canadian Copper Company [see Samuel J. Ritchie] who were present for failing to provide adequate services and facilities for the town. He was also a pioneer environmentalist, a common theme in his sermons being the need for stewardship of the land”. 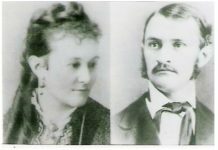 He married three times, outliving all but his last wife, and had a large family, many of whom played a prominent role in the life of North Bay, where Silas is buried. Such was his fame in the region, and the esteem in which he was held, that when a new Methodist College was established in 1960, it was named Huntington University, after the great pioneer known popularly as the Apostle of the North.